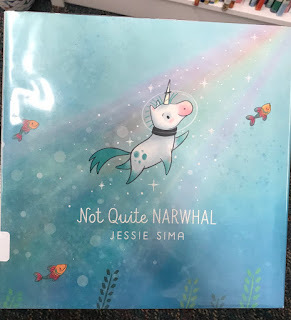 Second grade students at South Prairie have recently named Not Quite Narwhal by Jessie Sima as the Mock Caldecott winner in the building. 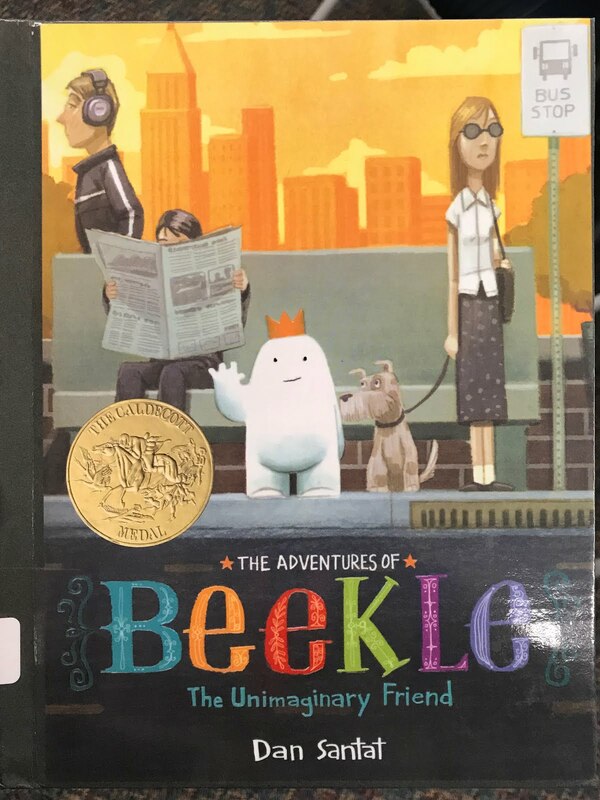 To start their work, second graders learned about the criteria for the true Caldecott Medal and looked at several winning books along with Caldecott Honor books. We started with a favorite of Mrs. Sedrel's, the 2015 Caldecott Medal winner, Beekle by Dan Santat. To evaluate the finalists, students used the same scoring sheet- except they did this part individually. 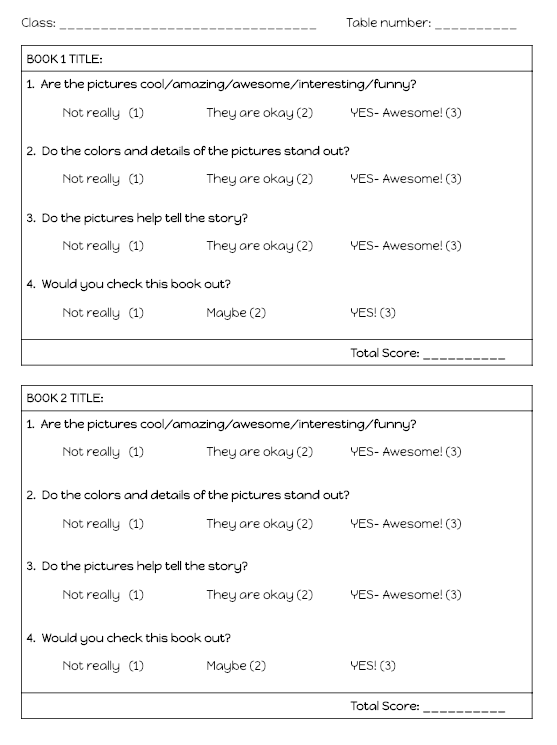 Students independently watched a video of each book being read while they completed the scoring sheet. 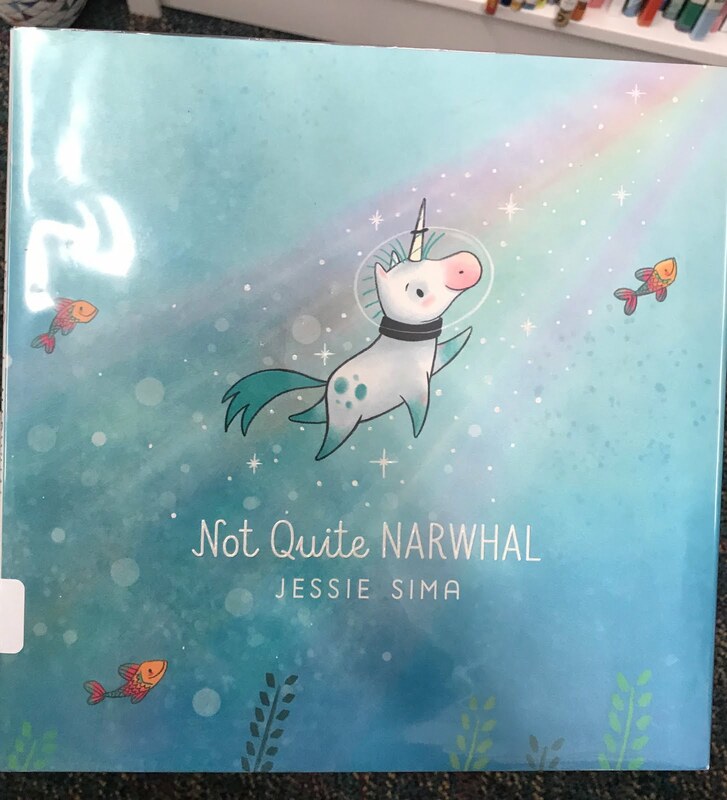 After students finished scoring the final four books, Not Quite Narwhal was crowned the winner for South Prairie's 2018-2019 Mock Caldecott Award! Last spring, I posted a project on the Donors Choose website and was lucky enough to have the project fully funded! 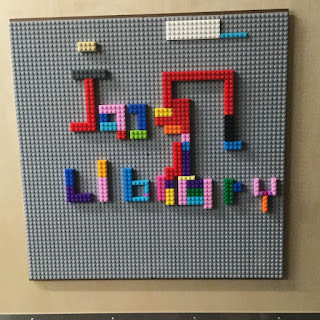 Now, this dream has become a reality; our library has a new awesome to create with LEGOs! 2. 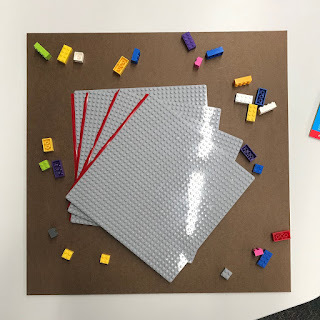 Trim the baseplates to fit your surface. 3. Sand the corners where you trimmed. 5. 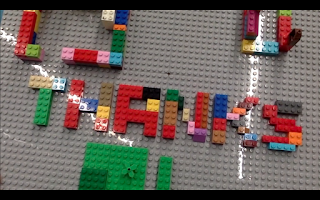 Follow the directions on the baseplate package to apply the remaining baseplates. 6. 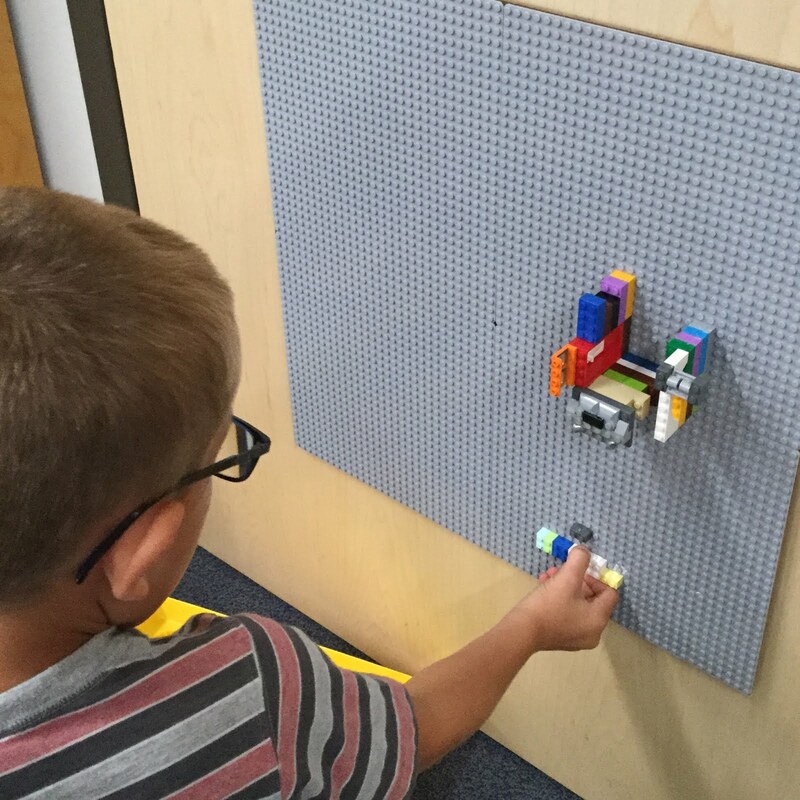 Attach LEGO wall to your surface (or use them as portable boards)! 3 of my boards are attached to doors in the library with the 3M Picture Hanging Strips. 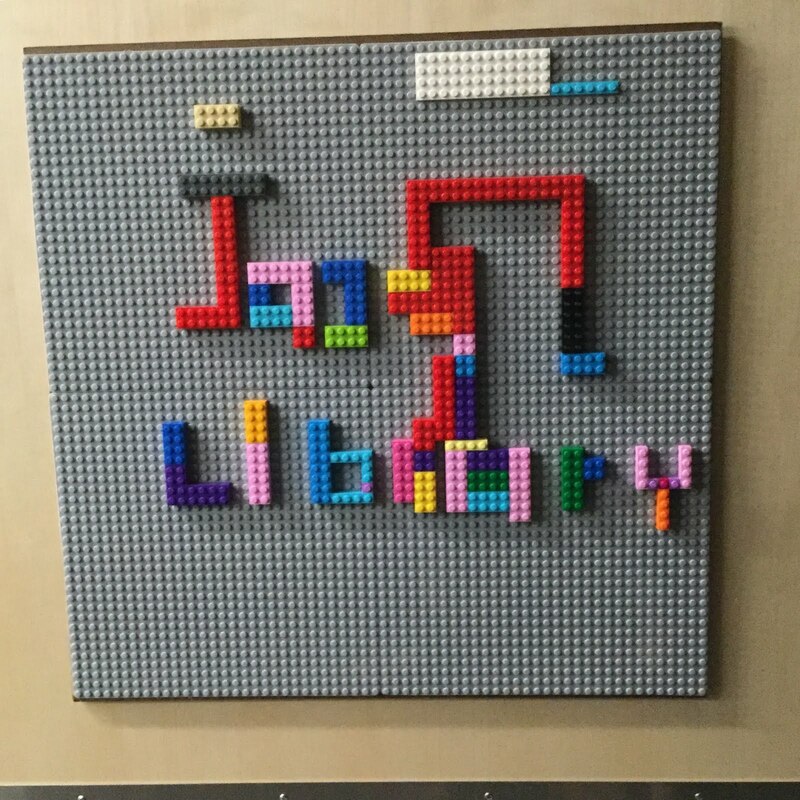 They are super-easy to remove and display in the library window! 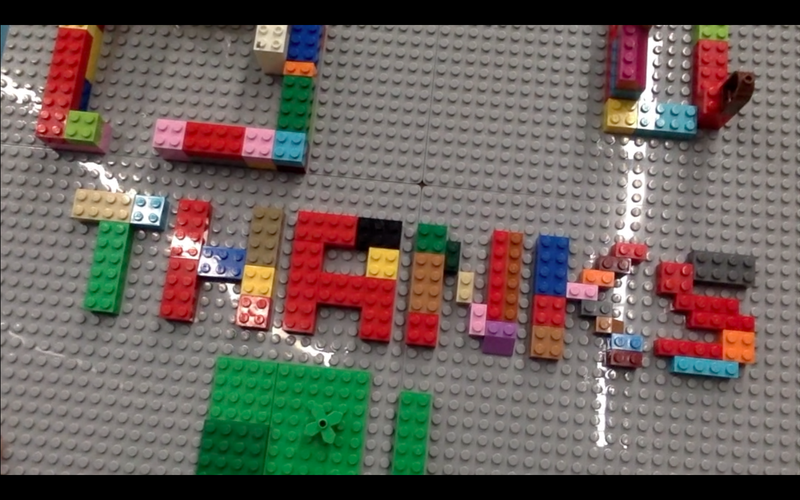 I've also created a video talking about the benefits of a LEGO wall, and it includes clips of the LEGO wall creation! Find the LEGO Wall video here or watch below! 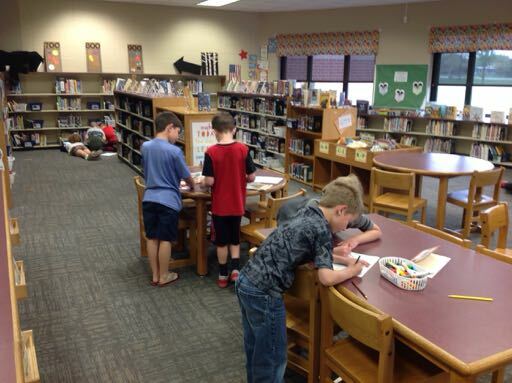 To get back into the swing of things at South Prairie, 3rd-5th graders worked on different library scavenger hunts! Each hunt had students search for important places in the library as well as the locations of popular books and series. 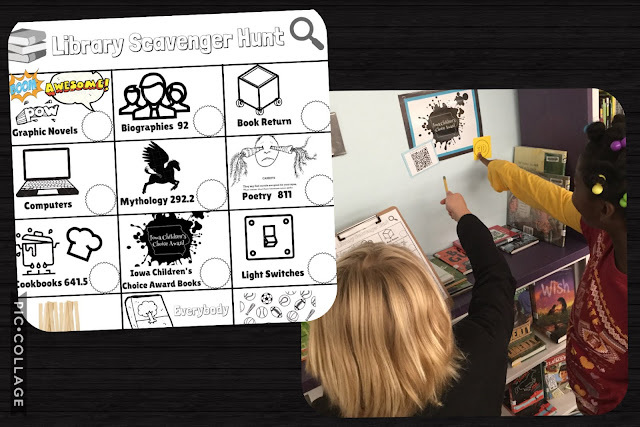 3rd graders did a BINGO-style hunt. 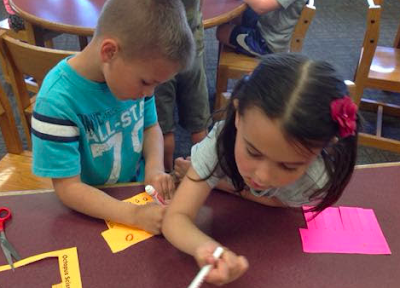 Instead of a BINGO, students wrote the number that appeared next to the item/location they found. 4th graders got to do the QR code scavenger hunt this year. 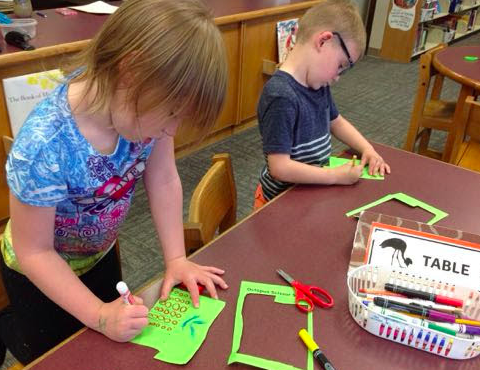 QR codes are a handy and easy tool to use in the library when students need to access information! With a partner, students worked to locate QR codes around the library. 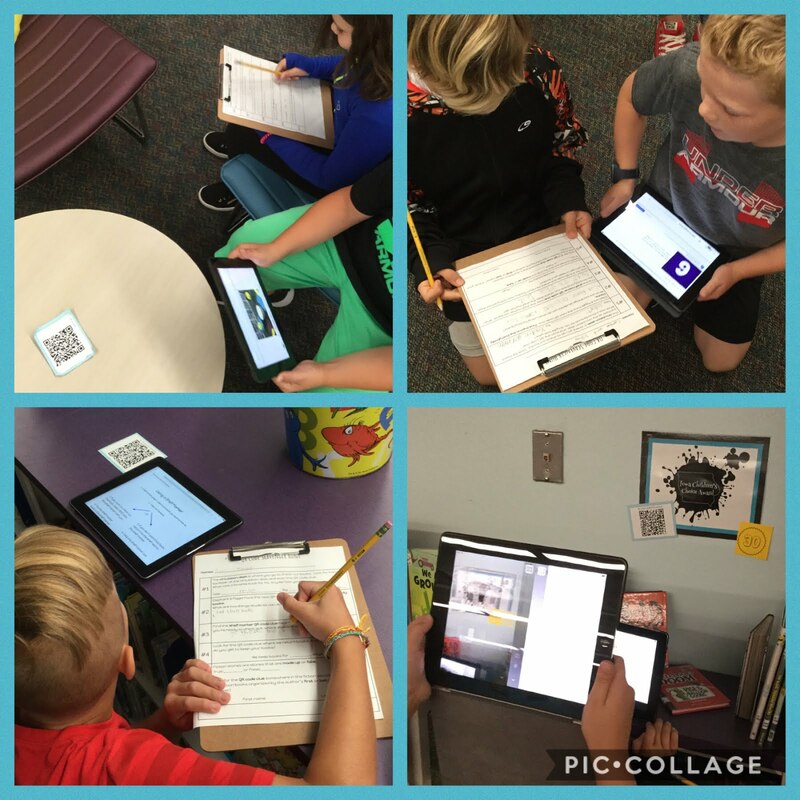 Each QR code provided students with essential beginning-of-the-year information. Students would then record the answer on their paper. 5th graders did something totally new to them! I created a library scavenger hunt in the GooseChase app. GooseChase is a scavenger hunt app that asks users to complete missions using photos, videos, and text. This was my first time using GooseChase as a facilitator and not a participant! 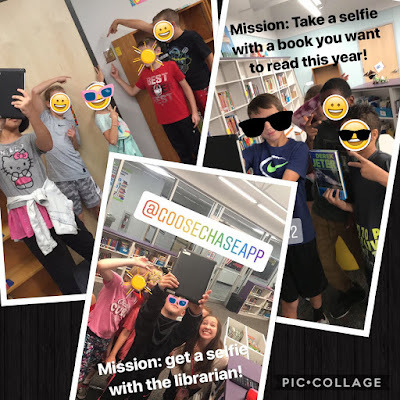 5th graders loved taking selfies to complete missions, working in a group, and using a new app on the iPads! 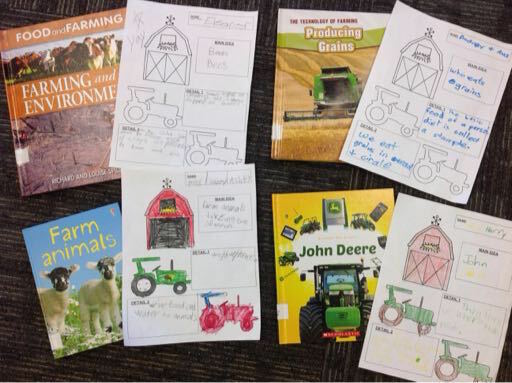 Earlier in the school year, the Dallas Center Elementary library was awarded a $200 grant from the Iowa Agriculture Literacy Foundation. 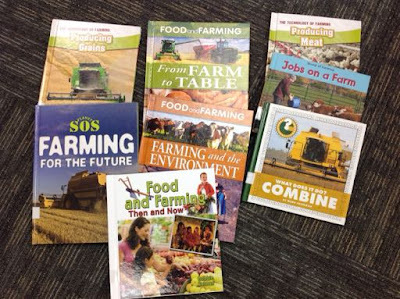 This grant allowed for the purchase of several new farming and agriculture books to add to the collection and to use with units of study. 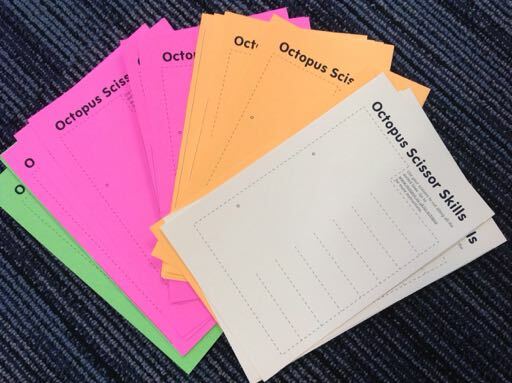 Recently, second graders completed a mini-unit that reinforced the main idea/detail note-taking work they had been doing in their classrooms throughout the year. 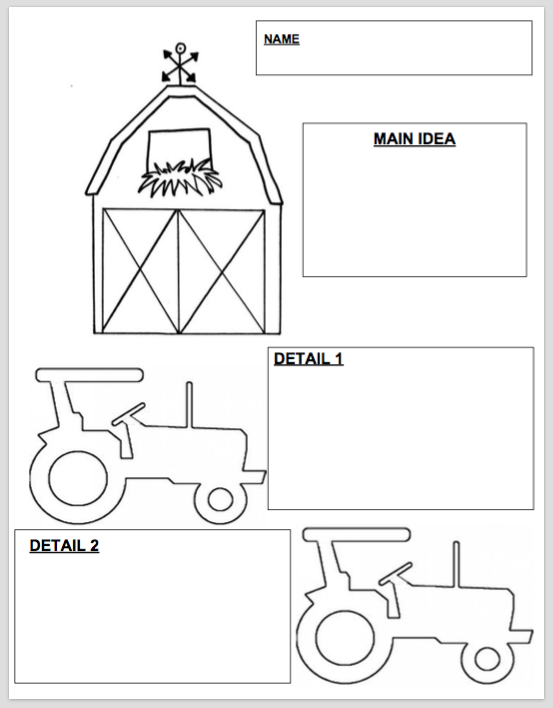 Students could work individually, with a partner, or as a trio to read all or part of a new book, then complete the handout, identifying one main idea and two supporting details. 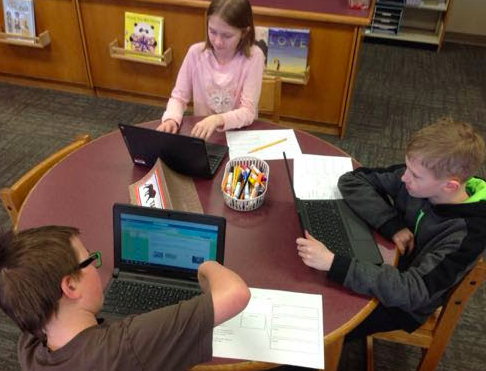 Once students had read and completed the handout, it was time to return to one of their favorite web tools, Flipgrid. 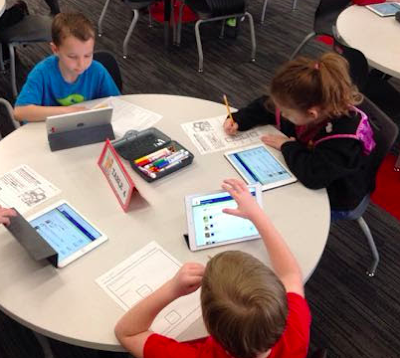 This group of students has used Flipgrid several times and with very few reminders were able to record their learning. As an extension to our fiction/nonfiction work with kindergarten students, we turned to octopuses--an animal with which many students already had a fascination. 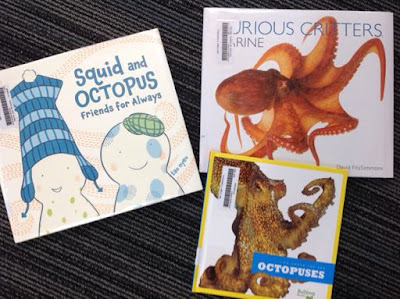 We began with a quick review of the difference between fiction and nonfiction books, and then we were off with our octopus books. Students quickly began sharing what they already knew about these sea creatures, and we referred to National Geographic Kids's website for additional information as well. 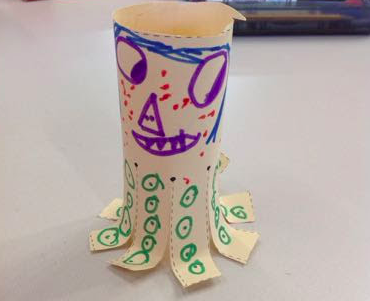 It's been a long time since we've posted about our students' work and activities. What have we been doing? All sorts of things! Take a look! 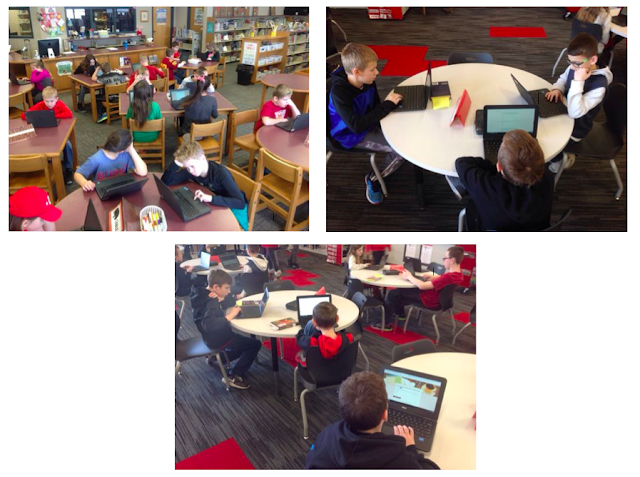 Fourth and fifth graders are working on several things at once: accessing our AEA databases, reading nonfiction for main idea and details, and citing their sources. Eventually, their notetaking will lead to the creation of a Google Slides presentation. 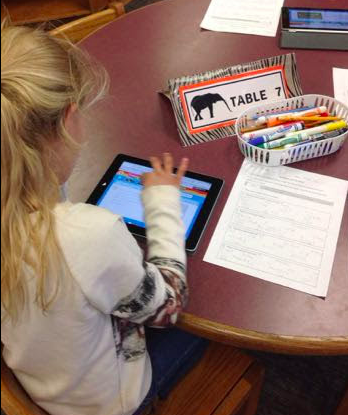 Third graders have just wrapped up their look at mythology and myths from around the world using a Scholastic site. Students read myths, identifying main characters, summarizing the plot, and determining the purpose of the myth. Online catalog work is the focus for our second graders in the fourth quarter. 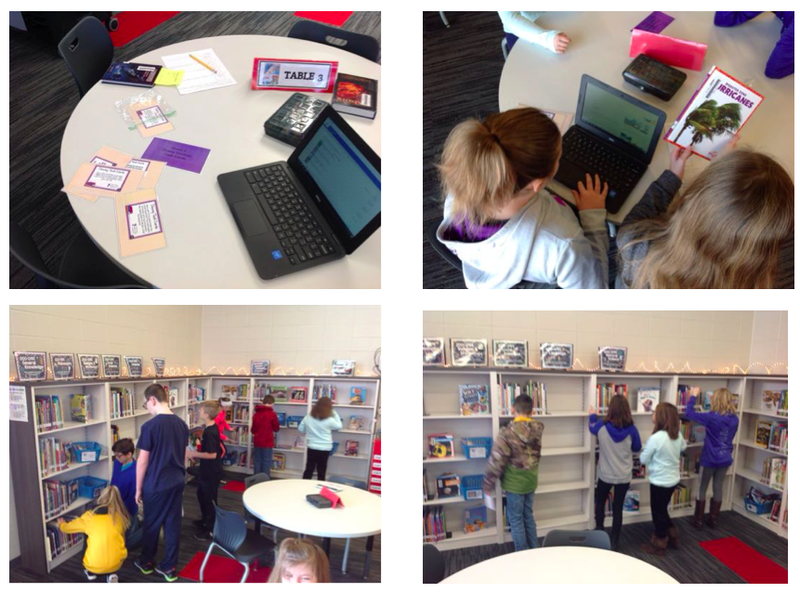 Students learn about the visual and basic searches, then practice using the catalog to find books on the shelves. 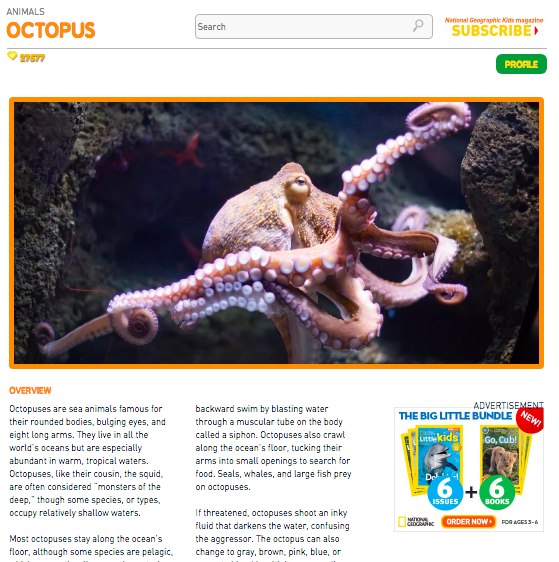 First graders are busy using PebbleGO to browse for an animal of interest, then learn facts about their animal that they then combine with make-believe information. 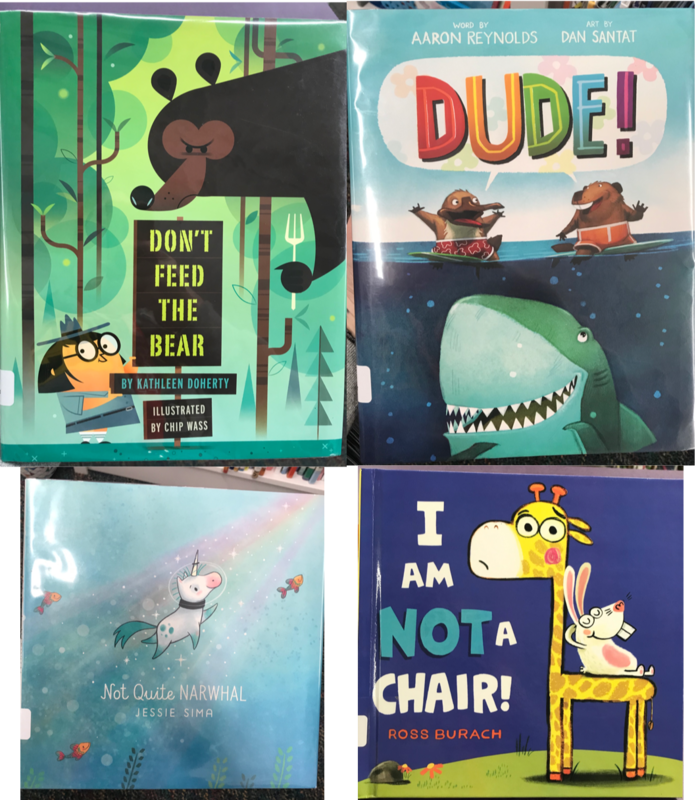 The facts, along with their added silliness pieces, come together in a storytelling activity on Flipgrid. 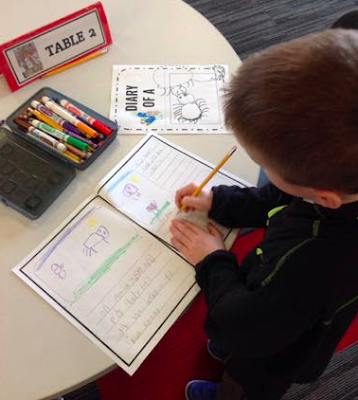 Finally, kindergarteners take the last several cycles of the year to read and listen to a variety of themed books. 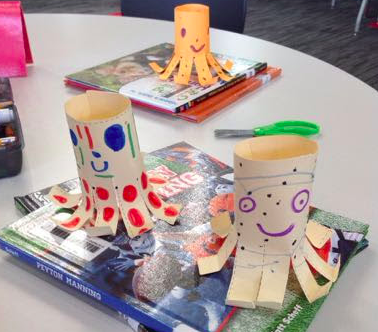 For example, recently students read Diary of a Worm and Diary of a Spider, then created their own Diary... books featuring animals or objects of their choice. Our year's not over yet--stay tuned for more work and activities! 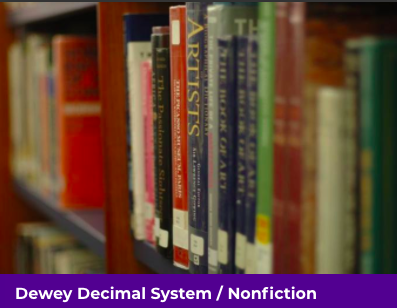 Fourth and fifth graders in several buildings have recently been learning about the Dewey Decimal System and practicing finding books in the nonfiction section of our libraries. Here's a brief look at the DDS activities. 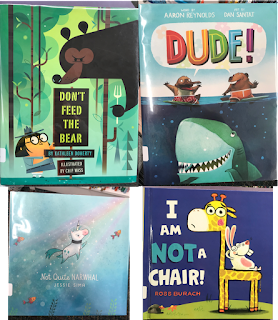 Before starting our conversation about the DDS, we discussed various collections we already have at home, like DVDs, video games, clothes, and yes, even books! Students offered different ideas about how to arrange these collections: by gaming systems, popularity, release date, color, height, or no arrangement at all. 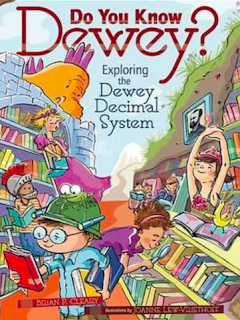 We then talked about the arrangement in libraries--that Melville Dewey's system of arranging books became the way by which nearly all libraries arrange their nonfiction books. 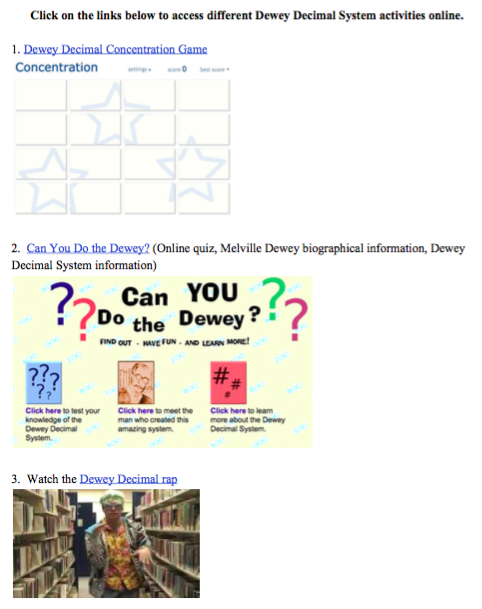 We followed up the conversation with the book Do You Know Dewey? by Brian Cleary. 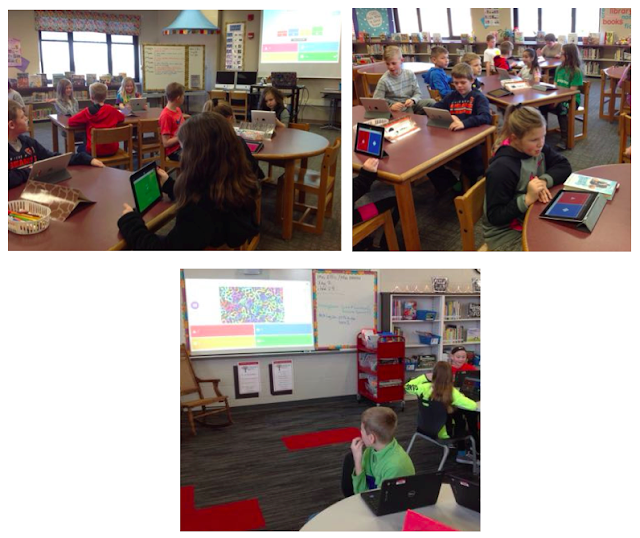 We further explored the DDS with a Kahoot! It is a public Kahoot! so others who are interested can access it online. 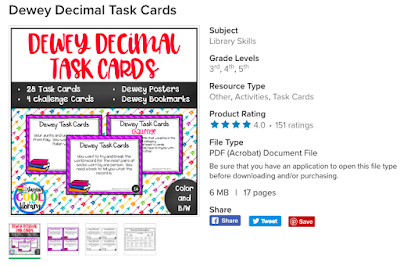 This day had students up and moving around in the nonfiction section of our libraries, searching for books that satisfied different task cards. 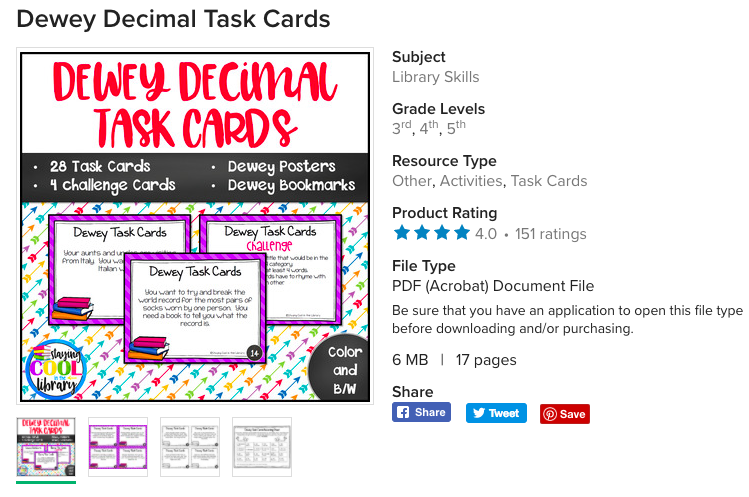 On Teachers Pay Teachers, this particular bundle of DDS/nonfiction task cards was especially great--it's from Staying Cool in the Library and available for purchase at TPT. 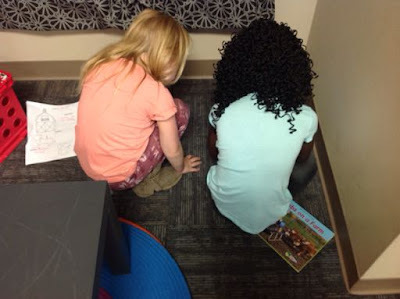 Students worked in groups of 3-4 to search for the books in our catalogs, to find the books on the shelves, and to record their findings on an answer sheet. 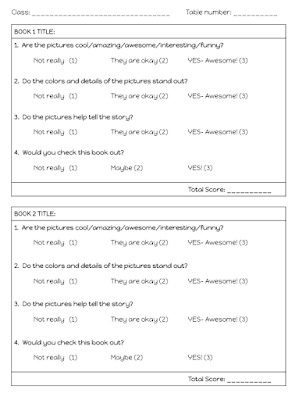 Finally, students demonstrated what they learned about the DDS on a Google Form quiz that they accessed through Google Classroom. As they wrapped up with their, students could also visit a variety of sites to learn more about the DDS. 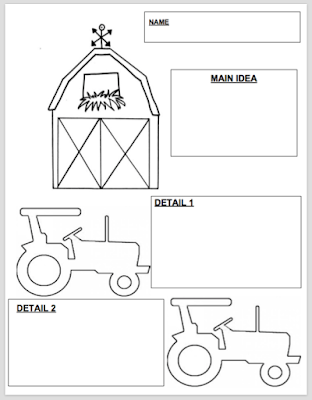 Click on the caption to access the document and the links within. Students found the rap quite entertaining and the concentration game much more challenging than the 16 cards led them to believe it would be! Share book reviews and ratings with DCG Elementary Libraries, and even join a book club on Goodreads.